Debo rah Lewis, CMP, is the Chief Experience Officer of CityEvents, an innovative and detail-oriented event marketing firm, with longstanding and sound contacts in the corporate world, government, charitable & not-for-profit and community organizations in Toronto. Deborah’s entrepreneurial spirit led her to launch CityEvents in 2006 with a vision of creating benchmarks in event planning and promotions in the city. CityEvents added marketing, social media and online marketing to their expertise and service offerings. Deborah’s energy and drive allow her to accomplish the skilled organization and execution of multiple events, all representative of her extensive portfolio. The CityEvents’ client list includes a number of professional services firms, large membership associations, charitable and community groups, and many local businesses. CityEvents has a focus on the entrepreneurial space and also coaches business owners on marketing and product launches. CityEvents has worked with the Toronto Board of Trade, Moosehead Breweries Ltd., Canadian Foundation for Physically Disabled Persons, Munk Debates, and outsourced marketing for Hogg, Shain & Scheck. Deborah is committed to her community; she was a member of volunteer committees such as, The Canadian Opera Company’s Operanation, the PowerPlant, Powerball, Ontario Science Centre’s, Innovators Ball, Rosedale BIA and the Women in Capital Markets (WCM) annual Vinifera Awards Gala. She was a mentor with TRIDEC and WISE mentoring programs, a Toronto Eglinton-Rotary Club member, and has led the committee for New Leaders of Sunnybrook Hospital Foundation, as well as the Luminato Young Professional Organizations. She was also instrumental in the launch of the Maple Leaf Digital Lounge, a Canadian showcase of startups at SXSW in 2011, and the King East Design District and Exhibition in the local retailers in 2011. 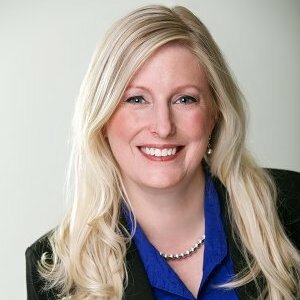 Deborah is a Certified Meeting Planner with a B.A.Sc in Consumer Studies from the University of Guelph and a Postgraduate Diploma in Sport and Event Marketing from George Brown College. Deborah has also taught special events management at George Brown College. 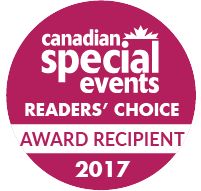 Deborah won the Canadian Special Events 2017 Readers Choice Award for ‘Favourite Independent Event Planner’ and is nominated for the Meeting + Incentive Travel’s 2017 Hall of Fame for ‘Industry Mentor’. CityEvents specializes in corporate business and business events as well as a variety of networking and special events. Our goal is to help your company build your brand, connect with your customers and strengthen relationships and communities. CityEvents will work within your parameters to reflect your image. Each of our events is a marketing success, expertly designed to achieve the greatest impact on your guests within your budget. CityEvents uses its solid supplier relationships, in order to save you time, money and frustration, while bringing your event to life. We’ll also create and build your online branding and social media buzz. We understand the components necessary for success in event planning. We are innovative, we work efficiently, and we execute our resources to manage first class events. CityEvents has extensive experience working with corporations, governments, associations and committees. And we only promise what we can deliver: many years experience in major conferences and special events, excellent contacts, credentials and reputation, financial expertise, and the ability to deliver an outstanding event every time. CityEvents believes the two main components to an events success is the venue/location of your event and the people in attendance. With this in mind, CityEvents manages its own database and community of 12,000 people and has built a large venue database. By attending launches of new locations, CityEvents is able to ensure that the best venue is chosen for the client, enabling them to tailor the event to the client’s objectives as well as their target demographic.